Lance pictured with HRCH Banker MH (L) and GRHRCH Echo MH (R). We at Duck Band Retrievers believe that all retrievers are born with a certain amount of natural ability and talent, some possessing more than others. We strive to build upon that natural ability and talent, while establishing a foundation that will sustain success in all aspects of the retriever’s life. We strive to produce retrievers who are obedient and controlled, but still very excited about the work that is expected of them. At the conclusion of training we also provide one-on-one training sessions with owners so that each will be able to fully utilize the talents and skills of his or her retriever. We believe that even though dogs are brought to us for a particular purpose, they should all be allowed to be dogs and enjoy the things that dogs enjoy. All dogs at our facility, regardless of their level of training, are allowed “play time” to run around and just be a dog We believe that this is instrumental in reducing stress during the training process, and results in a happier, healthier dog. We limit the number of dogs in training so that we can provide the individual attention that is necessary to produce top quality retrievers. We feed only the best performance dog food, and our facilities include concrete, indoor kennels and training grounds and ponds that are designed specifically for retriever training. Regardless of your desired level of training, we have a program for everyone. While we provide a time line for all training programs, it is simply an estimation. Some retrievers advance more quickly, while others may take additional time. We maintain constant communication with our clients, advising them of their retrievers’ progress and, if necessary, the need for additional time in training. We offer obedience training to any large breed dog, which includes commands such as sit, stay, here, down, heel, kennel, quiet, etc. In this approximately six to eight week program, it is our goal to provide the owner with a family companion that is obedient and enjoyable to have around. The obedience program is the foundation of all advanced training programs. This is an approximately four-month program and is designed for owners who desire a basic hunting dog or a "started retriever." 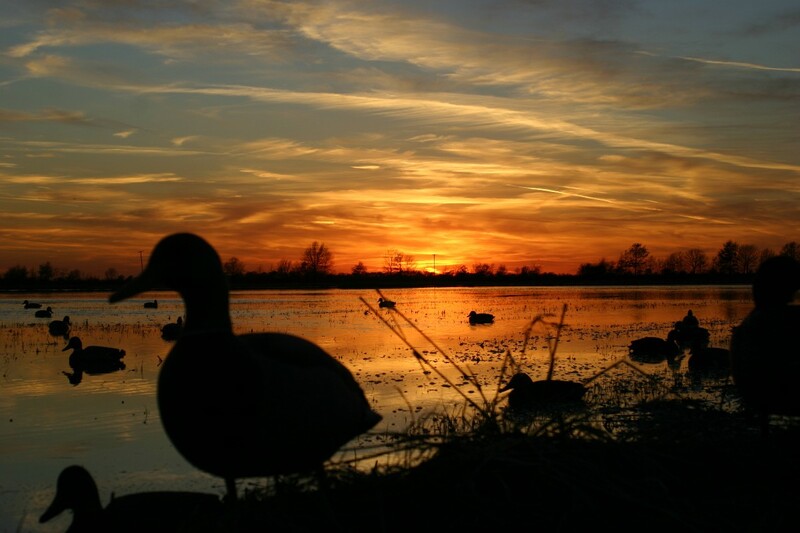 In this program, all dogs are introduced to birds, training dummies, boats, decoys, ATV's, hunting blinds, dog stands, etc. Following the obedience phase of training, we move on to force training, which teaches the retriever to pick up the bird on command and properly hold the bird until instructed to release it to hand. This will prevent your hunting dog from chewing, chomping or eating the birds. Once the retriever has progressed successfully through these phases, we move on to the marking phase of training. Retrievers who complete this phase of training will be conditioned to gunfire, steady to shot, able to mark and retrieve at least a single fallen bird on land or water and deliver that bird to hand. Most dogs that finish this program are able to complete a multiple marked retrieve. All retrievers must successfully complete the Gun Dog Program before beginning this more advanced level of training. This program is designed for owners who wish to have a retriever capable of picking up multiple marks on land or water and complete basic blind retrieves with the use of whistle commands and hand signals. This level requires approximately four months of additional training. 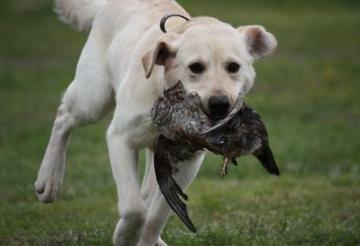 This program is designed to provide a tune-up for retrievers with previous training experience. We reinforce the commands the retriever already knows, to prepare him/her for the upcoming season. This can usually be done in a single month, but owners are encouraged to make arrangements well in advance so that a spot can be reserved for your retriever. This program is designed for owners who are interested in campaigning their retrievers in United Kennel Club (UKC), and American Kennel Club (AKC) hunt tests, as well as Super Retriever Series (SRS) events. This program takes the skills acquired in the previous training programs and builds upon them, using much more advanced, technical training and hunting scenarios. Upon completion of this advanced program, retrievers will be ready to compete in UKC finished and AKC master level tests, as well as SRS events. The additional time in training required for this advanced level varies depending on the dog, as well as the level of competition desired. This program is designed to develop a puppy into a happy, engergetic retriever that is ready to start formal training once he or she is old enough. In our puppy program, we work on developing your puppy's retrieving desire while teaching simple obedience commands. 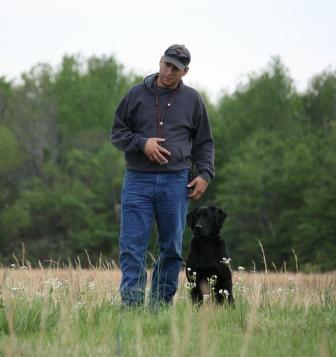 During this program, we introduce your puppy to water, decoys, birds and gunfire. We want to develop a puppy that is ready and eager to move into formal training with no fears, and while maintaining a great attitude.